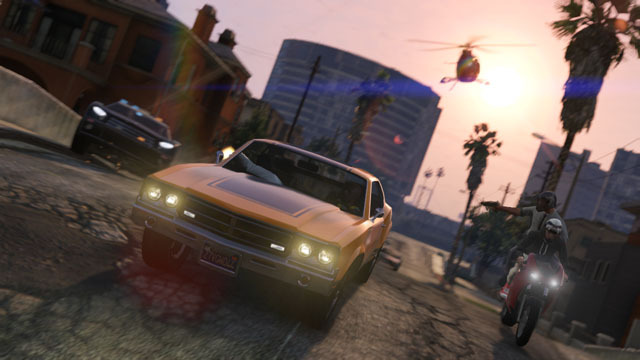 Today Grand Theft Auto V players will get access to Grand Theft Auto Online, the game's multiplayer mode. 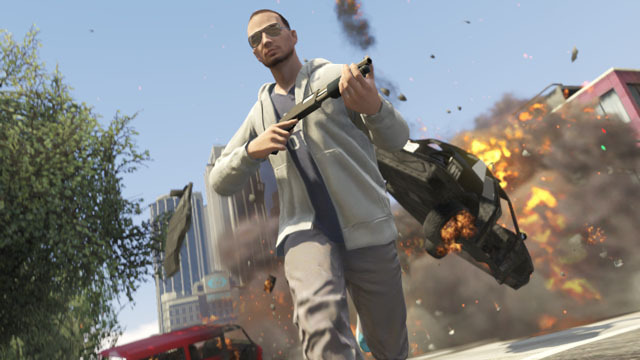 GTA Online will allow players to run amuck in Los Santos a few months before the events of the single-player campaign. When you load up GTA V today, there should be a small title update waiting for you on PSN or Xbox Live. The exact timing of the update's release is unclear, though Rockstar estimated that it would go live at 7AM ET this morning. After download and installing the patch, you'll be able to jump into GTA Online by selecting the bottom slot in your GTA V character wheel. You won't control Michael, Franklin, or Trevor in multiplayer. Instead, you build a new character. You choose their gender and then decide on their mother and father. If you own the Collector's Edition, you'll have some exclusive choices for parents. Next, you'll choose your character's lifestyle habits which also contribute to their appearance and starting stats. After you've entered the game world, you can tweak your character's appearance with haircuts and clothing. 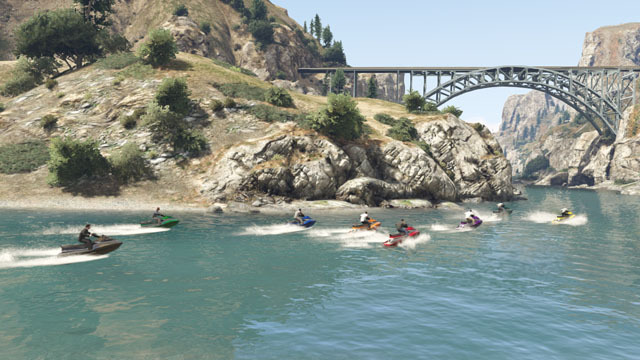 GTA Online allows you to roam Los Santos and Blaine County with up to 15 other players and undertake various activities. For example, you could have a street race or rob banks. Through these jobs, players will earn money in order to buy new equipment. This equipment can also be purchased by spending real-world money, but Rockstar is careful to point out that wealthy players can't just buy all the best equipment right away. 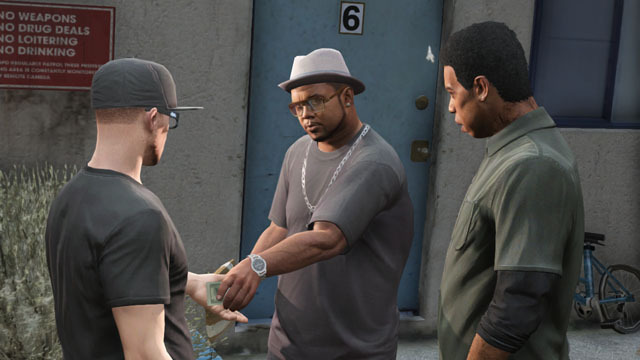 "All players still have to rank up with Reputation Points (RP) in order to get access to purchase high-end items," Rockstar said in aNewswire post. 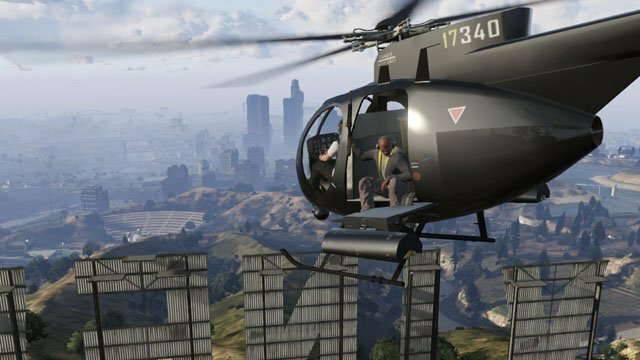 "No one can begin GTA Online and simply spend a lot of money out of the gate to get a leg up. 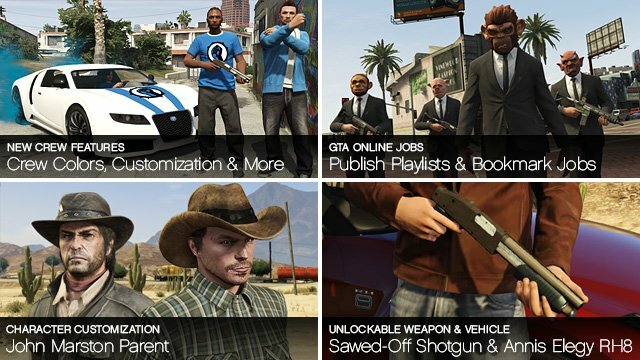 You will have to earn your stripes and play to unlock access to the aspirational clothes, guns and other items." You can also use the money you've earned to purchase properties. Rockstar has tried to make this housing system as painless as possible. You don't have to worry about players torching down your pad or stealing your car. When you invite another player to visit your property, they have to stay nonviolent. Two players can also own the same property - they just own different instances of that property. If you have a (free) Rockstar Social Club membership, you can unlock exclusive benefits in GTA Online. For example, they can get access to the Sawed-Off Shotgun and Annis Elegy RH8 sports car. You'll even have the option to select Red Dead Redemption John Marston as your character's father. You can find out the full list of exclusive content for Social Club members here.